Machined from aluminum alloy, brushed surface, sleek look, no fade and durable. Non-toxic silicon pads in the groove, protect your notebook, and avoid from the surface scratch risk. Four non-slip rubber mat on the bottom ensure stable placement, prevent the screen from tipping. 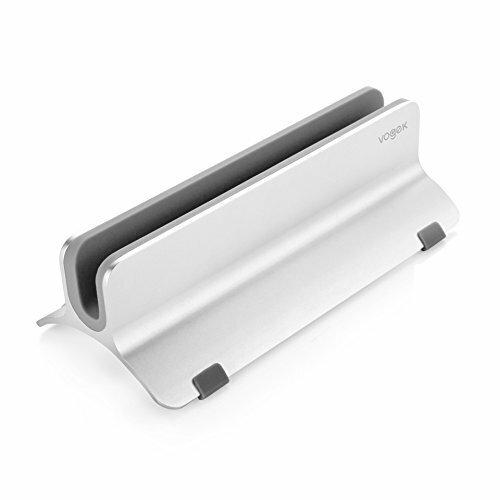 This stand for your workplace or desktop by cradling your Macbook up vertically, saving space and keep your desktop clean. If you have any questions about this product by Yiding, contact us by completing and submitting the form below. If you are looking for a specif part number, please include it with your message.